I highly recommend this product to anyone looking to add to their collection. It is a work of art, as well as functional! This toy is beautiful, natural, and it works! The retrieval cord might bother you a bit. This egg is amazing! I was a little disappointed that you weren't able to choose your "semi-precious stone" or rock, but I am very happy with the appearance of the one I was sent. I did notice a difference after using this for a while. Kegel exercises strengthen your PC muscle, which leads to stronger orgasms, reduced incontinence, and increased sensitivity. I'm very pleased with this toy and enjoy that it's a more natural option for Kegel work. It has the added bonus of being able to used for massage, and the heft of the natural stone really lends itself to that. The size is perfect. It is not uncomfortable to insert or wear, and not as small as to be hard to work with. 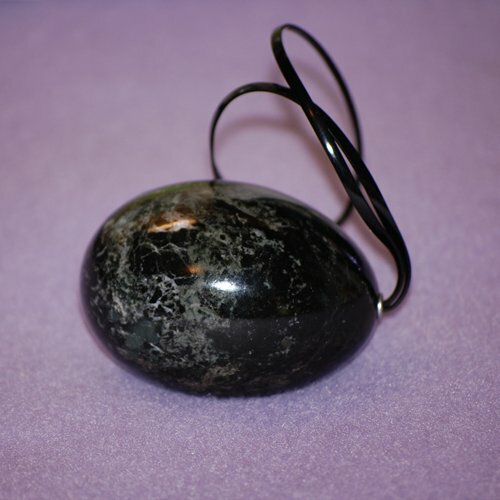 It weighs in at 0.3 lbs., which gives you a great workout for your PC muscles, when you do your Kegel exercises. The egg is 2 inches long and 1 1/2" diameter / 5" circumference. The pamphlet that comes with it explains that you could add weight by putting weights in the included velvet bag, and attaching that bag to the retrieval cord on the egg. 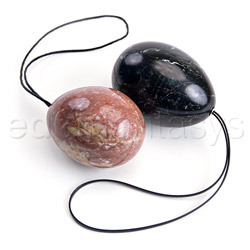 The manufacturer's website offers weights for sale as well as bases to display the egg. The only thing that was a disappointment for me was the retrieval cord. It is made of flat plastic cord which can be uncomfortable against your skin. I know they were trying to go with a material that could be easily cleaned, but something more pliant and soft would have been a more comfortable choice. 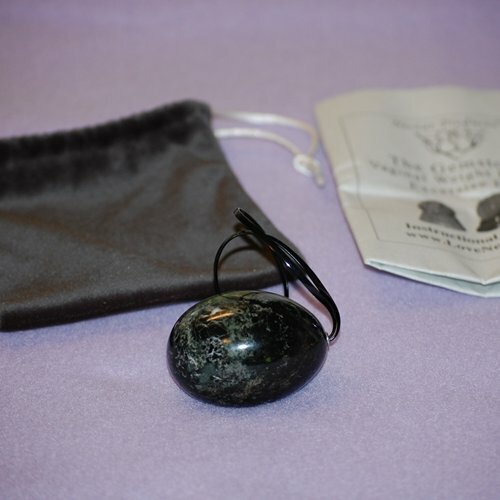 The product has no smell and the rock isn't coated with any sort of sealant or chemicals. It is very smooth with no rough edges or cracks. It cleans up with mild soap and water, boiling is not recommended. Any type of lube or oil you like can be used with this toy, although I personally rarely have to use any due to the smoothness and size of the toy. I still love this egg, and it has it's place in the rotation of Kegel toys. It's beautiful to look at, and it does it's job well. What can be wrong with that? 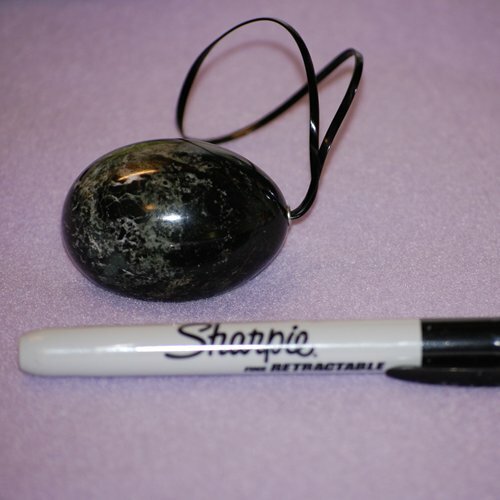 The finish of this polished rock has held up to cleaning and use, and still has it's shine. The string is still firmly attached. I have had no issues with quality or performance. This is still a favorite!